National parks have always been an emotive and iconic symbol, ever since the first parks of the modern era were created in the mid-nineteenth century. This book, based on original research, delves deeply into their character and significance, and the larger context in which they developed. 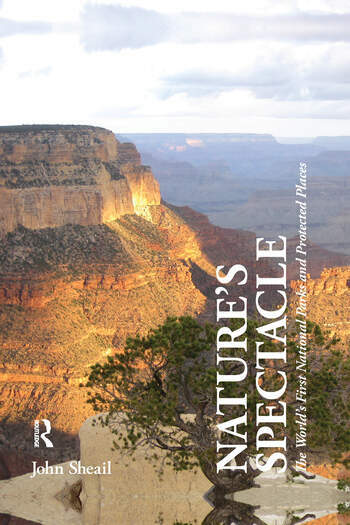 The book celebrates the deserved attractiveness of the parks as wilderness or 'spectacle' to millions of visitors, but also emphasises how there was nothing inevitable, self-sustaining or without cost in their magnificence and accessibility. Those early parks were a powerful unifying force as national 'playgrounds', especially as motor transport democratised their use. However they also provoked bitter conflict in their dispossession of local communities and perhaps deliberate segregation of people from scenery and wildlife. That first century of national parks, which concluded with the significant break of the Second World War and the subsequent development of more international approaches to conservation, left an uncertain legacy. It was a fragile foundation from which to build what became an integral part of today's conservation movement. John Sheail is a Research Fellow of the Centre for Ecology and Hydrology (UK Natural Environment Research Council). This will be his tenth book, his most recent being An Environmental History of Twentieth Century Britain.